Some exciting news. 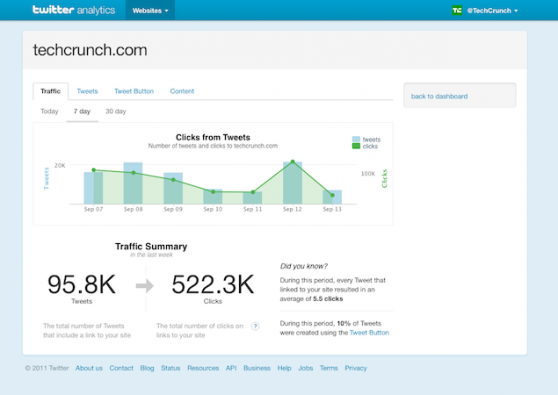 Twitter has finally announced Twitter Web Analytics. Talk about Twitter offering analytics has been going around for some time now. First, there was speculation about whether Twitter would even offer any type of analytics to their users. Then Twitter announced they were going to offer free analytics, but making it available to businesses first. The free option for all users never materialized. 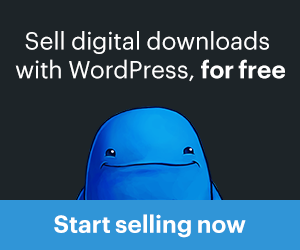 But on Tuesday, Twitter announced they were releasing a tool that “helps website owners understand how much traffic they receive from Twitter and the effectiveness of Twitter integrations on their sites“. Here’s a screenshot of the analytics dashboard. These are all great statistics to know and will make it a lot easier for website owners to measure key metrics. Until now, if you wanted to effectively measure how much your website content was being shared on Twitter you had to create and monitor special searches in other Twitter apps. For example, we have a separate search column set up in @Tweetdeck to monitor mentions of our base URL. Although this gives us live notifications, it doesn’t provide an ongoing accounting. Which is why, for actively monitored reports and analytics, we use TweetReports (you knew that was coming, right?). If you wanted to measure traffic sent to your website from Twitter you either had to create special operators in Google Analytics and/or monitor any internal tracking for Twitters t.co URL shortener. As for monitoring effectiveness of Twitter’s tweet button, nothing has been available. What really has us excited isn’t just that measuring will be easier but that Twitter is “committed to releasing” a Twitter Web Analytics API so we can add their analytics directly into the Twitter reporting tools we already offer. We’ll keep you informed as new information is made available.